So, I need to get something off my chest. I had a discussion with someone recently who said I should let everyone know when I’m using organic ingredients so as to get a tighter niche market for my blog. This person didn’t understand when I pointed out that I don’t want to limit my readers or make them feel like the things I cook are unachievable for the average family. Let’s face it. Not everyone can afford organic flours or organic fruit and vegetables. But in all likelihood, they can afford to buy flour and fruit and vegetables. It’s called a compromise. My blog isn’t about you eating organic or never eating a square of chocolate again, because there are enough of those blogs out there. It’s about cooking together, getting your kids interested in food and getting them to try new things, extending their taste buds. You would be surprised what kids will try when they can sneak it from the chopping board. That’s why when I say “flour” I don’t say “organic flour milled in a unicorn powered mill from wheat collected by magical fairies”. Mythical beasts aside, I’m focused on wholefoods and homemade. Not on organic food only. As I said, I’m not a smug foodie. Don’t get me wrong, we eat a lot of organic food but I’m not pressing that onto anyone. I just don’t feel it’s necessary. There are bigger fish to fry- like cutting down preservatives and additives by showing people how to make their own versions of the packets and bottles that line the supermarket shelves. If we want our kids to have a good relationship with food we have to be their best teachers and to do that we need the best teaching materials. Those materials are wholefoods. You will find that by buying the base product (for example popping corn instead of prepopped corn) you will save money and you control the end result and what goes on it. 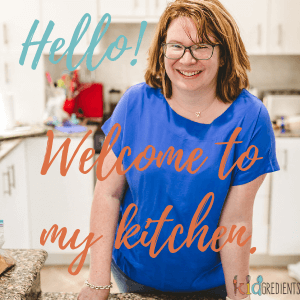 I don’t ever want anyone to feel threatened or overwhelmed by the food I cook and post, the ideas and recipes should be accessible to all and should help you to make food for your family that they will enjoy and that comes from wholefoods. So help me out, leave a comment below telling me what you like about this page and if it has encouraged you to try something new. Just found you! And I love this blogpost, about time somebody said it… and you did, thank you, even if I am a bit late to the party. I also try to use organic, but I dont like feeling like we are going to die if me and my kid eat normal flour once inna while. Last time I bought normal tomatoes in the supermarket I thought long and hard about it… will my two year old survive! And she did! I guess the point is to find a balance… love your blog, and the unicorn! Lol. It’s all about balance. It would be nice to live in a world where everything is organic, but while it isn’t, it’s so unaffordable. Which means it is of-putting to people who need to start making progress towards healthier food. Thanks Sarah, you have made my day! So glad that you’re feeling prepared, my oldest is off to primary school next year- we’re in this together! I think it’s important that I don’t scare people off, because those who need the most help with the food their family is eating won’t be already eating organic! Have a great day! I need as much inspiration on meals to cook with and for the kids as possible! I love that I have found your blog to make it easy. I now have a long list now of things to make – thank you!!! Organic …spoganic…even if you want to cook organic something you can’t find all these ingredients that are purely organic so I support you 100%. Food should be for everyone. Thanks Mamma Raj! I’m glad you’ve found things to inspire you! Thanks Juliette, it’s going to be a long battle, but I really want to help people to feed their families better and I know you do too! 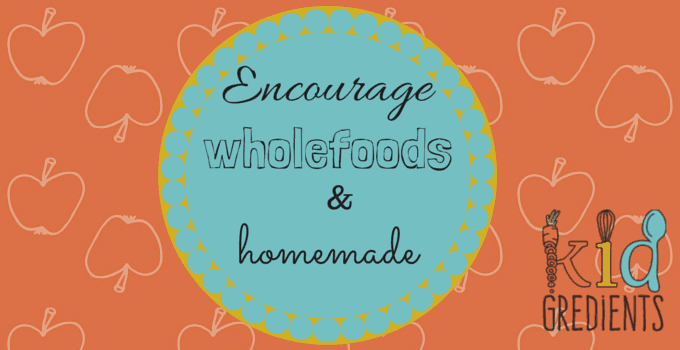 I am all for starting with basic ingredients instead of buying from a jar or packet. That’s not to say I never buy from a jar or packet, sometimes it’s just more convenient. I think it is so important for kids to eat fresh foods and know that not everything comes in a packet. I agree, I have the luxury of being a stay at home mum and two freezers. 🙂 I use jars too sometime, but then I chose organic and additive free. Food is such a minefield! Thank you!!! I am in the process of changing our eating habits from mostly commercial foods to home made. Over the past few years home cooking has become scarcer and scarcer in our house due to lack of energy from health issues and having kids. The hardest part about changing habits is taking the first step. It’s overwhelming where to begin so it’s refreshing to read something like this that doesn’t preach organic and make me feel guilty for not going organic. You are spot on, it is a bit scary and daunting for someone like me to read something preaching organic as it makes it all feel just too hard. Plus money is tight so to make these changes permanent, it needs to be affordable for us too. Time is short so it’s just easier of I can get everything I need in just one or two shops. If it’s too hard to get things, people are unlikely to make the effort to change. So thank you again for your wonderful reassuring words! It’s all about planning an preparation, isn’t it? If I don’t get organised….dinner just doesn’t happen! Interesting – people can choose the organic version, but if you say organic is might put them off. You may be on to something! Sounds like a plan Bec! Too true! If people think they have to do organic everything it just puts healthy eating further out of reach for them. Thanks Anita. I love what you’re doing too! Your page has inspired me so much. Fantastic article! This is exactly my view too – don’t over complicate things! Real food can be simple and nourishing (even without the unicorns!). Keep up the great work!! I love what you wrote, that is how I view food and cooking. Real people, cooking real food, where a whole family can sit down for dinner and everyone is eating the same meal. I to cook everything from scratch, that is important to me, so when you write ‘flour’ (for example) people can make there own choice on which brand to buy, I am over the raw, paleo, organic titles. Keep it simple, I say. You’re doing a great job. Really well put. It’s an issue I’m often wondering how to broach. Like your wonderful blog, mine is about getting the kids involved. For alot of families and cultures this is the norm, but for so many it isn’t. I’m not teaching my kid that it’s only healthy if it’s organic. It’s beside the point. Healthy habits for now and the future , knowing where food comes from so she won’t be reliant on packet or junk food later in life. A healthy attitude and appetite. Organic is great but not always practical for everyone all the time. Thanks. Thanks Adam, I’ve been thinking about it for a while…and glad I finally put it out there. I think for a lot of people eating only organic food is unattainable, so it’s better to stick to what can be done- helping people to make the break from processed packaged food. You’re doing a great job too, just think how grateful your daughter will be for the knowledge you’ve given her!